American society is increasingly made up of people who’ve been conditioned through 2-3 + generations of fear, media framing, and corporate/bureaucratic caste system manipulation. Practically every avenue and direction either beats people down, or herds them into cubicles, or fenced-in fake and winding road communities. Worse yet, many more are lost and forgotten poverty stricken cities and rural communities. Culture, substance, and spirituality are largely lost, or just a caricature for some people with leisure time to adorn like fashion accessories at best (with a few exceptions). American society is becoming far adrift without an anchor in this modern ocean. And every month we collectively become more and more lost. The more that we double down on our existing system, the more destructive and expensive for everyone involved it becomes. It starts to cost the lives, freedom, and sanity of everyone it is connected to, as it chugs it’s way toward eventual full scale collapse. On the ethical/social level, the recent US Presidential elections have begun to break the “spell” of American national politics. We are approaching the end game of traditional media driven American politics when everyone *knows* that (for instance) Clinton and Trump are both implicated in lying, but the majority of people expect, or go along with expecting each other to just take a side, instead of just stating the facts as they are. Some historians state this is similar to what happened toward the end of the Soviet Union. Many people purportedly knew the system was based on falsehoods, but everyone carried the lie forward and enabled it for some years, until it finally broke. wrote in “The Cheating Culture” about the dramatic rise of fraud and cheating as a new foundational way to operate in America http://www.cheatingculture.com/about/ . Callahan argues (correctly in my opinion) that this “Cheating Culture” is driven by income inequality. In turn, income inequality is driven by deliberate caste/class systems that coerce people into tiered positions in US society, where resources typically flow from many to a wealthy few. Simultaneously, the wealthiest interests economically capture the regulatory mechanisms created by public oversight systems. The net effect is a deepening of the foundation for corporate control of government. The 240-year American experiment cannot carry forward much longer under the current paradigm. The core function of American government is Empire. Any historic variation from Empire has been an exception to the goal of conquering people, and land and remaking it into American culture, and implementing a caste/class system within. A lack of ethics, and lack of human, cultural tradition, and spiritual grounding has won out in American culture. And this victory is now costing communities their safety, prosperity, well being, and even sanity and lives in some cases. The picture painted by Occupy Wall street of the “99% and 1%” is just the tip of the iceberg as this system starts to decline. The appetite for corporations to extract wealth from communities continues unabated. Fundamental infrastructure is now being destroyed in the name of wealth extraction (such as the water systems of Flint, a result of the bait and switch emergency manager scheme to take private control of public resources), and the threat of oil infrastructure destroying the Standing Rock Sioux Missouri River water supply. Bodies of water, such as Lake Erie are now subject to algae blooms that make the water toxic. Each year sets record temperatures as more carbon is released into the atmosphere, while simultaneously more forests and wild ecologies are stripped for the purpose of making money from arguably unneeded development and resource extraction in the name of economic “growth” (read: to make wealthy people wealthier at all our expense). These are the actualized costs of our bankrupt American culture. As these costs mount, American people are afforded less and less agency over time on local and national levels to change the system and advocate for themselves. Instead, precedent is set to favor already financially wealthy and politically powerful people (mostly corporations). The likely end game under sustained current conditions is not going to be good for many people. Quality of life is likely to decline significantly for many. As Dave Pollard wrote last year our choices in Energy, Ecology, and Economy are driving us toward this end game. So, whether your livelihood is tied to Energy, Ecology, or Economy (directly, or indirectly), your end game is likely collapse under the current conditions. We are now understanding as a species that we are in the midst of a human-initiated Mass Extinction, radical changes to our climate, and destructive reformation of natural ecologies into weaker, less robust systems that fail to self-regulate temperature, water flows, and collection of sunlight and conversion into nutrients. We therefore have to now resort to excavating long-sequestered carbon resources and burning those, because we have lost our knowledge of symbiotically using the existing ecologies in intelligent ways. Many Americans can intuit this. And this intuitive perception is creating the conditions for change. But America really has no alternatives at this point. The hungry maw of the American Machine gobbles up everything that emerges, co-opts it, and turns it into another extraction mechanism for wealth hoarding for a few. Throughout the history of America, there has been an alternative all along. An alternative that has been maligned, demonized, marginalized, victimized. But within it are the traditions, knowledge, wisdom, culture, spirituality and connection with natural systems that contain the ingredients America needs to evolve and change and adapt away from it’s pathway toward collapse. 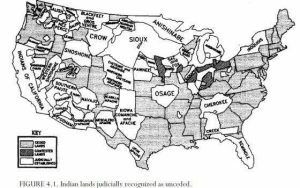 This alternative is the 566 recognized Native American tribes of the US. The time is now to start a process based in respect and reconciliation to exercise this alternative. The purpose of this writing is to attempt to create a pragmatic plan, and justification for investing in this alternative to the existing American system. “In the time of the Seventh Fire an Osh-ki-bi-ma-di-zeeg (New People) will emerge. They will retrace their steps to find what was left by the trail. Their steps will take them to the Elders who they will ask to guide them on their journey. But many of the Elders will have fallen asleep. They will awaken to this new time with nothing to offer. Some of the Elders will be silent because no one will ask anything of them. The New People will have to be careful in how they approach the Elders. The task of the New People will not be easy. The alternative I suggest meets these conditions, and I will illustrate how in the following writing. First I will discuss the type of change proposed. Then I will discuss how the proposed change meets Graves’s Six conditions. The type of change proposed in this writing is for Americans to start to voluntarily elect to apply for membership to Federally recognized tribes who are willing to participate in this effort. Elsewhere on this website, it has been suggested that people should or will start forming “Neotribes“. For America, this is a mistake. As mentioned previously, American culture is too young to function in a tribal way. For America, it would be much better for people to instead become new members of the already existing tribes. The new members of tribes would join newly formed bands, or some other component, where they work to learn the language, traditions, and history of the tribe they have joined. The new members would also work to help these tribes re-acquire unceded lands territory in a US government and internationally recognized way (likely through tribal and international courts as well as US government courts). As the process of restoring unceded territories unfolds, participants would work together to both return large amounts of the territory to pre-colonial state, and to re-orient large portions of bio-regional food systems toward traditional food uses of these territories. Restoring Elk, Moose, Bison, Wolves, Beaver, birds, reptiles, amphibians, fish and plants into a retrieved robust/diverse natural ecology again. Traditional foodways can be expanded to provide a perpetually sustainable and year-round food system that is not beholden to doomed Energy/Economy/Ecology systems. The traditional Native American way of molding and shaping the land in concert with it’s ecology can produce millions of pounds of food if enough land is dedicated, and people are active in procuring the bounty. I will expand on this point with evidence and examples in a future post. In addition to the above, North Native American language and traditions possess concepts that do not exist in Western culture/traditions, or have been lost or massively suppressed. The cultures, while not dominant, are superior in philosophy, ethics, spirituality and humanity. In all of these areas, the American extension of Western culture has failed profoundly, and is headed toward disintegration, permanent division, increase of fear and xenophobia. Before it is too late, it is time to recognize this failure, and germinate the dormant seed of an ancient and better culture, and give it a chance to lead, instead of to be the most oppressed and marginalized. Below is a discussion of how this alternative meets Graves’s Six Conditions for Change mentioned above. The existing American people have the skills to make this change, but cannot lead it. So, if they start to treat existing Native Americans as equal partner and leader in this change, instead of as marginalized wards of state, by actually switching citizenship to these nations, and recognizing them with either dual citizenship, or wholesale change, the other piece of the potential puzzle is met by the existing native peoples. Americans largely lack solutions to the current existential problems mentioned above. This writing is an attempt to start to pragmatically suggest solutions. If the current election, and recent events over the last 7 years in America are any indication, dissonance is widespread in America now. The goal is to see a change take place before the dissonance grows to unbearable levels. From the widespread protests of 1999 in Seattle, to the recent campaign of Bernie Sanders, to the efforts to spread permaculture, re-localize local food and economy systems, and create more diverse communities based in peace and tolerance, where this emerges people see progress. But, much of this progress is still rooted in systems of Energy, Ecology, and Economy that leave the progress open to future exploitation and extraction. So, a change to Native American tribal governed America would also need to be done in a way that offered insights to participants that their elected change is working. 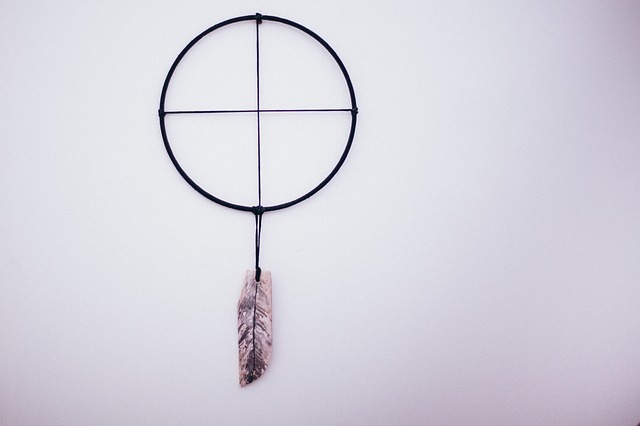 Many Americans are in dire need of a reconnection with the “spiritual”, and not in a way that appropriates and co-opts, but instead in a way that reconnects in genuine ways. This alternative will provide that insight. In the case of this proposed change, “removal of barriers” constitutes the work to help tribes achieve full sovereignty, and to actually join those tribes in favor of the existing US regime. It is also desirable for all indigenous people in the existing US territories to continue to develop relationships and create lasting connection and even federation, to achieve strength in numbers. The opportunity to consolidate this change is inherent in it’s success. Retrieving and developing a better philosophy, spirituality, and culture will pay off in immediate, and long term ways for all participants. It will also create a model that can be used around the world as an effective and available way to resolve the damage from Industrial paradigm activity to the earth’s species and climate. One thing is for sure: if we are to survive as a species, it is now time to start thinking about where our best solutions can be found, even if they contradict our previous cultural assumptions about what is desirable, and what is not. We need to start looking past our collective assumptions about what is “superior” to what, and start think about, and be ready to accept what can truly help us, vs doing nothing and rejecting all alternatives while our system plods onward toward destruction. In the next post in this series I will detail more of the practical ways this alternative can be realized in America in the months and years to come. What tribes if any are participating in the idea of everyone joining a tribe?